The ws is about South Africa. 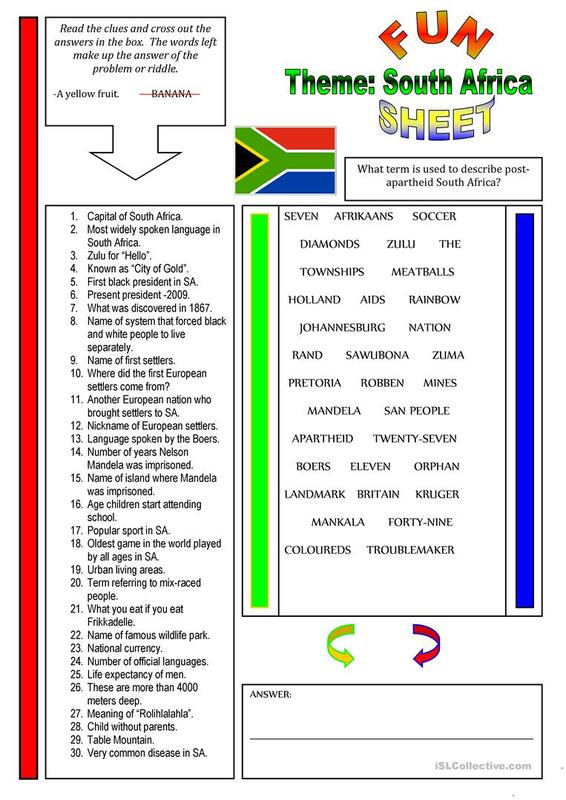 Use it as a revision ws or as a ws from students can gain new knowledge about South Africa. The present downloadable worksheet is recommended for high school students, elementary school students and adults at Pre-intermediate (A2), Intermediate (B1), Upper-intermediate (B2) and Advanced (C1) level. It is useful for strengthening your pupils' Reading and Writing skills. It is about the theme of Countries.